Hey my lovely's here is an outfit review.. I hope to buy this outfit, maybe. Since I was going to buy the outfits from last week, but then they were gone. Curse my studying for finals. 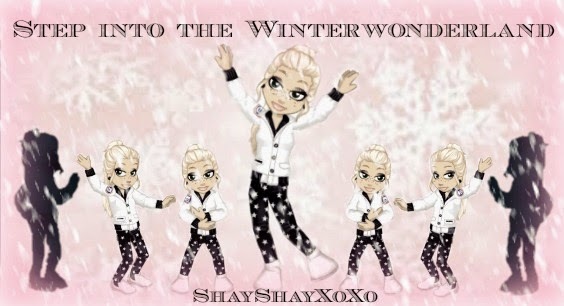 But anyways, this will be the outfit review, and sweaters, ofc winter wouldn't be complete without sweaters. Yasss. Overall, this outfit, is literally me. 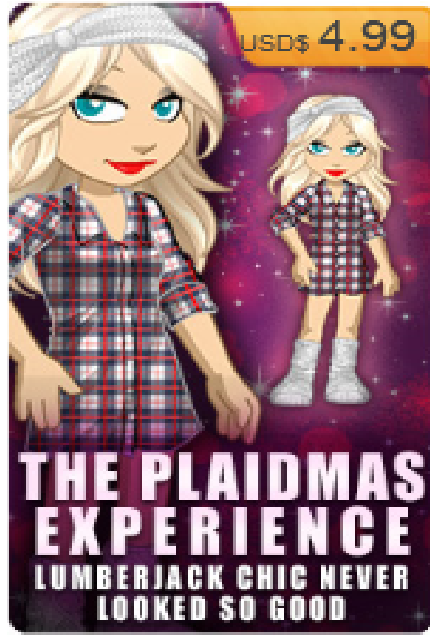 Except if I didn't show I was wearing leggings or something under the plaid dress/shirt thingy… I would be killed. Literally. Hair- I like how messy it is, and the little bandana, looking headband completes it. It looks weird for a while, but you get used to it. Shirt- Plaid is a huge yes. I love plaid shirts.. so this is beyond cute. Shorts- They are plaid shorts, under. But it is so cute. Look around for people who have them and look. I love them. Shoes- Well, socks I should call them. But I love them. Super cute, amazingly fashionable. My wooden probe wouldn't pull it off, but everyone else wood xD. Now for the adorable Sweaters!!!! So these sweaters, are amazing. I love them. 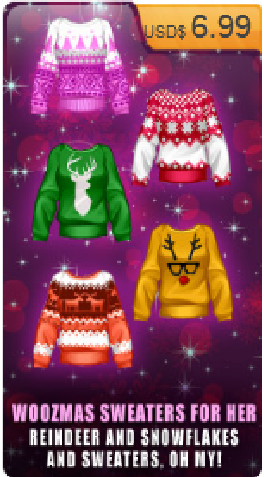 I absolutely love the reindeer with glasses and the snowflake kinda print ones. I just love them all xD. So over ally I rate them 10/10! So make sure you go and buy these outfits if you can! Okay, so yeah. Have an amazing dayy ;o I might post later today, well around noon like 12:00 am or later on for me. I would say what it's about but I'm to nice (; ! So yeah.